Deliciousness in Porto - 'Oh the People You Meet! 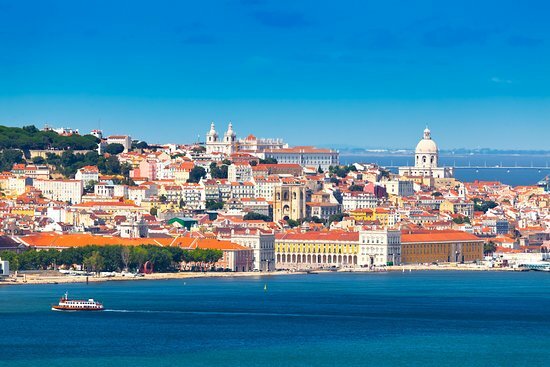 Porto, Portugal has five master chefs who were awarded Michelin stars last month. Upon receiving this momentous news, Porto’s tourist office invited me to visit and write a story. I flew there on Portugal’s airline, TAP. It was my joy to taste the food at those five restaurants. If a city of just over 200,000 wins a couple of Michelin stars, that is expectable but five is virtually never achieved, and one chef had even won his second star. On the way over I was delighted to read that TAP has assembled some very distinguished, sophisticated chefs to create menus for their passengers and their creations were indeed unique and delicious. Shortly after take-off was food service and it was really excellent. Upon landing, groggy and barely conscious, I found the Portuguese customs and immediately had a shock. I couldn’t find my passport! I looked everywhere. My hopes for the trip were fading to black. I was about to come up with an excuse for the agent, anything to say to be able to be let into the country and to my surprise the customs agent herself ran back to the plane and found my passport in my seat. This stunning experience is an example of the way foreigners are welcomed into this age-old country. I was happily treated in similar ways every day. The Portuguese are wonderfully accommodating and welcoming to their foreign guests. Customs was a breeze after that initial shock. It was drizzling, and the sky was as grey as a West Point cadet’s uniform. This was a miserable way to greet this new-to-me city. Porto is about three and a half hours by car north of the capitol, Lisbon, on the Duoro River and near the Atlantic. Driving through the virtually empty streets was a lonely way to meet this handsome city, but all I wanted was privacy, silence, and sleep. The greater metropolitan area of the city itself has more than 1,200,000 residents and in Portugal’s bright daylight, Porto is a very tidy, well-kept city. There is a bustling downtown boasting the University of Porto, founded in the first half of the 19th Century, with 30,640 students, a city hall and a major fishing port. I passed elegant apartments and stately homes along the Duoro River. I saw some well-preserved buildings dating back to the 12th century. To my tired eyes Porto was revealed as a substantial, progressive city. When I got to The Yeatman Hotel, I glanced at a single building looking like a whitewashed golf links’ bar/clubhouse. I was not impressed. Where were the guest rooms? I began to be disappointed by this itinerary choice. However, I had only arrived outside The Yeatman Hotel’s reception area and I soon discovered that the hotel’s facade hid many unexpected surprises. Entering with trepidation, I found a highly-polished-marble-floored lobby furnished with overstuffed, beautifully designed chairs and handsome, large, wooden desks. Uniquely, the guest rooms are entirely below the ground floor and built into a cascading slope. The Yeatman’s rooms overlook the Duoro River. My first meal in this culinary adventure was at The Restaurant, The Yeatman’s five-star dining room. I sat at table and was unprepared for what followed. I found that dinner was to be a 16 course extravaganza. Initially the idea of 16 courses seemed preposterous. Instead, it was really exceptional. There was fish, fresh from the nearby Douro, meat from local ranches and very fresh and tasty vegetables. It took over three hours to chew my way through it. The meal had every culinary course each served with a masterful flair. You can have this overwhelming bounty yourself any time you’re in Porto for around $200 per person. I found myself so amazed that I photographed many of the offerings before devouring them. The next day I met Chef Ricardo Costa, the man who created the meal. I sat him down and asked some questions regarding when he decided to become a chef and if he prefers to do the cooking at home. He explained that he wasn’t always sure about what he wanted until taking up the suggestion to enroll in culinary school. So he attended The Hotel and Tourism Faculty at Coimbra University. Due to the fact that he is so busy in his profession, he prefers not to cook at home, but eat out with family to maximize the time spent with them. He is a trim, middle-aged man. Trim is rather unusual description for a chef. Overeating is an occupational hazard. The next days were a cavalcade of deliciousness. We moved from one amazing, astonishing culinary venue to the next. It’s obvious to me that you can eat exceptionally well in Porto, Portugal. I certainly did.